Kids will be off to the races with this realistic role play set! 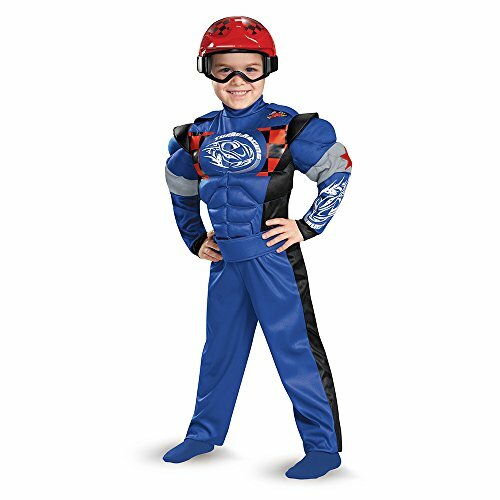 The high-quality costume includes a sturdy helmet with adjustable face mask and zip-up jumpsuit complete with colorful racing emblems. A soft steering wheel features enough printed details like knobs and dials to satisfy any racing fan. This is one role play set that’s sure to drive straight into the winner’s circle! 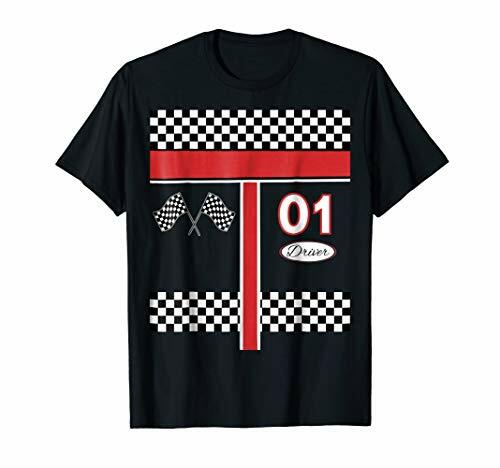 One-piece jumpsuit featuring a classic Nascar-like design transforms any child into a professional race car driver. The zip-up jumpsuit includes a red belt and authentic looking patches and details. Ideal for playing dress-up, stage performances, costume parties, Halloween and more. Look to Forum Novelties for all your Halloween, Luau, Easter, Mardi Gras, and St. Patrick's Day supplies. 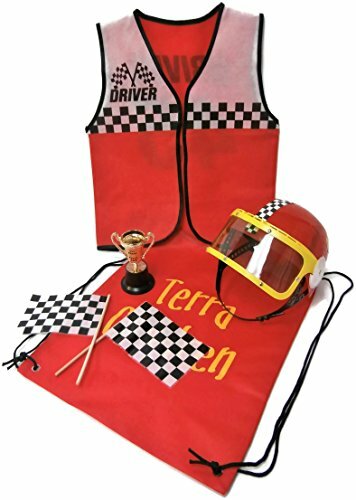 Non-woven Race Driver play vest, plastic helmet with movable visor, pair of checkered flags and a 1st place trophy. Included is a non-woven drawstring backpack for handy storage. 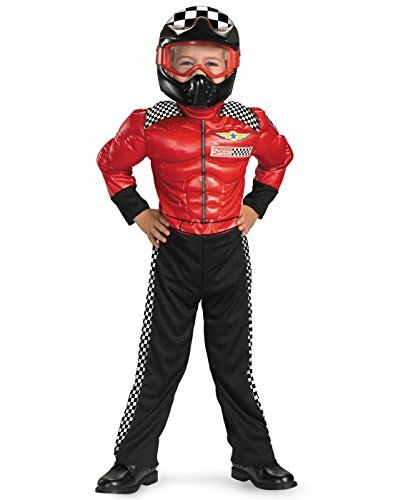 This Turbo Racer Costume features a jumpsuit with muscle torso and arms and helmet. Product Includes: Jumpsuit with muscle torso and arms, and character mask. 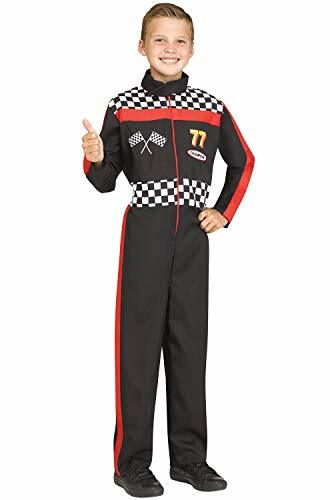 Perfect for anyone wanting to dress up as a race car driver for Halloween or trick or treat! 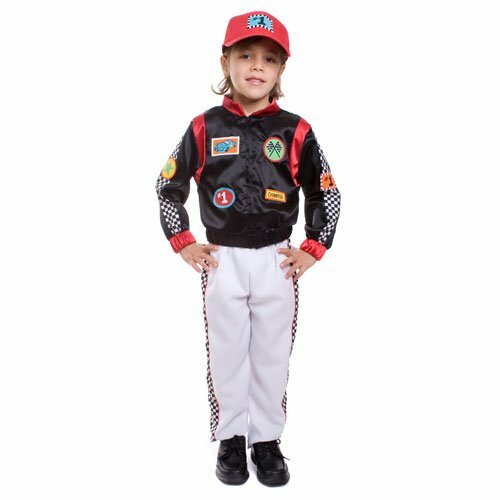 Great race car Halloween outfit for any age! Perfect accessory costume to pair with a sibling's pit crew costume! Start your engines! In just a few simple steps, you can transform a simple foam board into a stylish box car for your very own little racer.